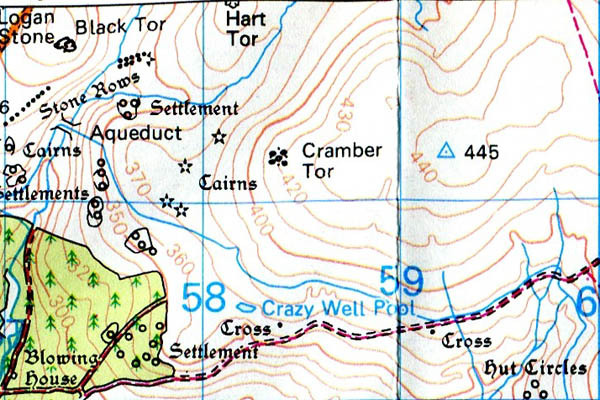 Hameldown Tor – Grid ref: SX 703806 Height: 529m a.s.l. Hangingstone Hill – Grid ref: SX 617861 – Height 603m a.s.l. 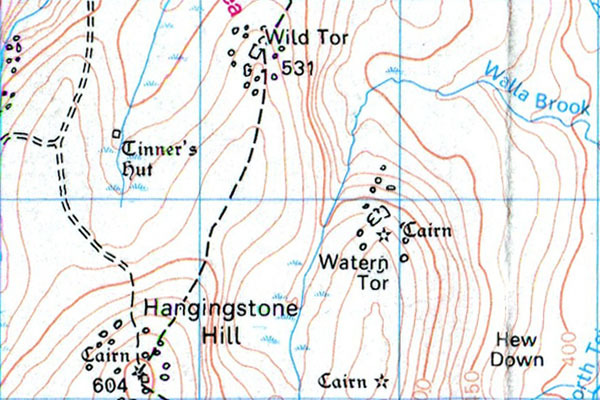 Hangingstone Hill is not a Tor by name its summit is over 600 metres and therefore it is more than worthy of mention. Nothing too gruesome takes place here despite its name. It does however offer a most commanding view of all the moors and beyond, which is hard to match on a clear day. A stone sits at its summit, apparently once existing as a logan stone rocking stone. Hare Tor – Grid ref: SX 550842 Height: 531m a.s.l. Hart Tor – Grid ref: SX 581720 – Height 531m a.s.l. 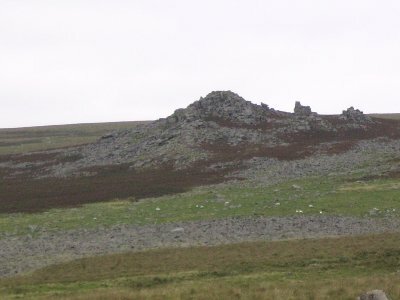 Hart Tor is not a summit however it stands quite clearly from its surrounding moorland-grass surroundings. Hartland Tor – Grid ref: SX 642800 Height: 410m a.s.l. 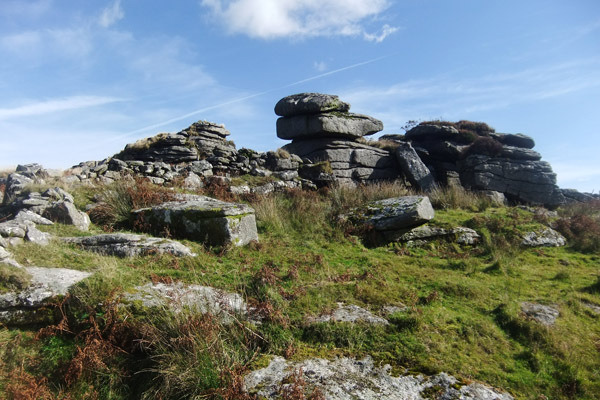 This sprawling tor is a worthwhile and accessible walk from the B3357 near Tavistock. With two slender stacks of granite boulders at either end it is instantly recognisable from its’ approach. A wonderful bouldering venue for those inclined to take their climbing shoes. 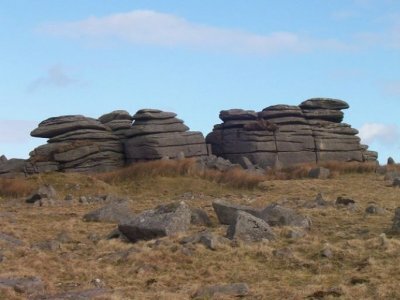 Part of a good walk that incorporates Cox Tor, Roos Tor, Middle & Little Staple Tor. 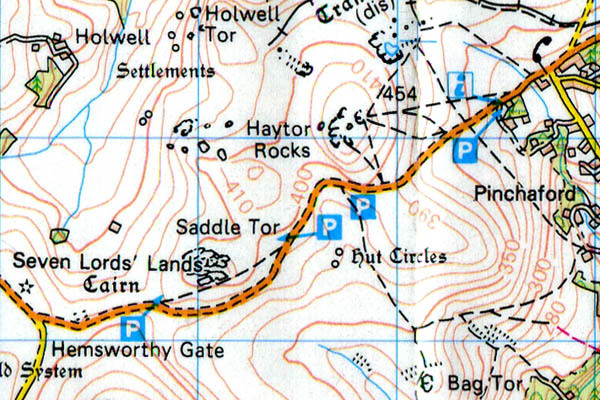 Haytor – Grid ref: SX 757771 – Height 457m a.s.l. 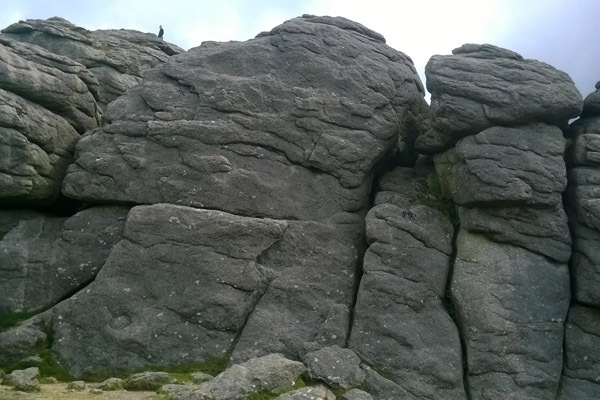 Haytor is home to many visitors, due to its grandeur, ease of access and its attention byclimbers and more. The tor actually consists of two very distinct sections with a neat, wide grassy avenue between the two. 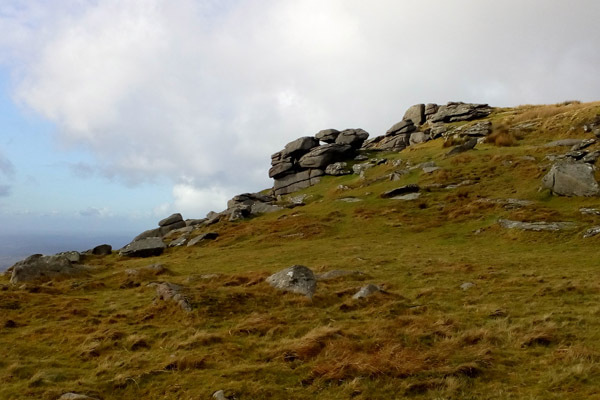 Certainly as easy walk from several directions and a stairway that leads you to the summit of Haytor. Heckwood Tor – Grid ref: SX 537738 Height: 321m a.s.l. 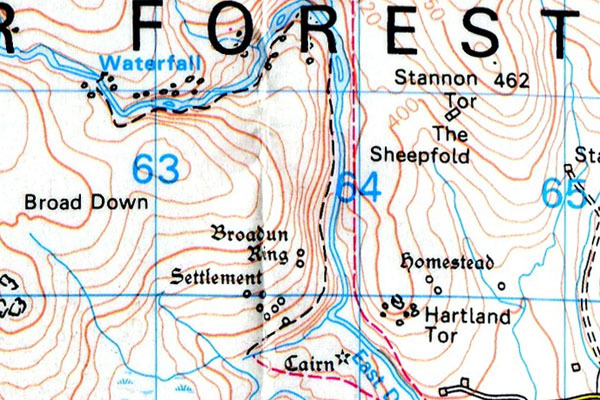 Located on the western profile of King’s Tor. 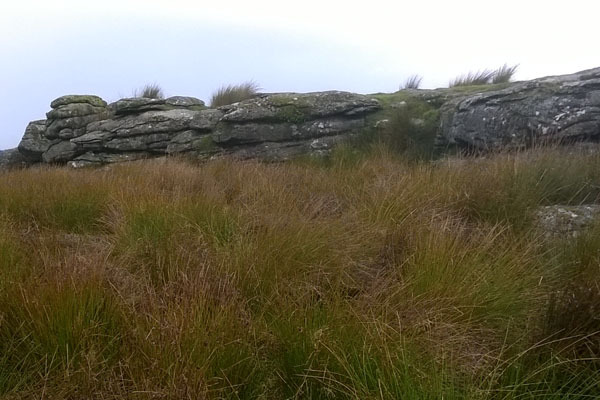 Hen Tor – Grid ref: SX 593653 – Height 414m a.s.l. Hen Tor is an impressive tor for one that does not sit high on a hill-top. 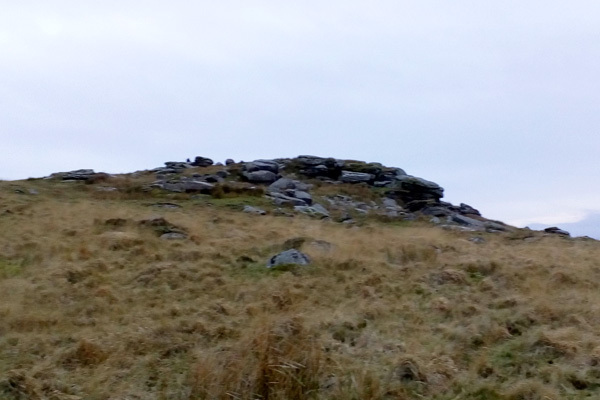 With its’ scree slope descending impressively into the valley of the River Plym and the ancient Bronze Age settlements below it, this tor is worthy of a visit at some time. 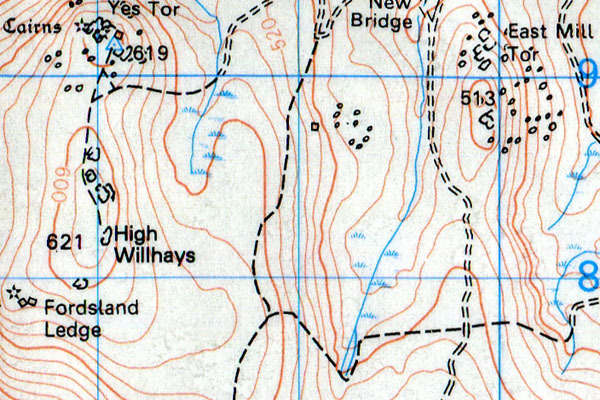 High Willhays – Grid ref: SX 580892 – Height 621m a.s.l. The highest peak on Dartmoor. Officially a mountain due to its height above 2000ft (609m a.s.l.). Also officially the only Marilyn in Devon (a peak with over 150m of elevation). Higher Tor – Grid ref: SX 613917 Height: 460m a.s.l. Higher Hartor Tor – Grid ref: SX 599677 – Height 410m a.s.l. 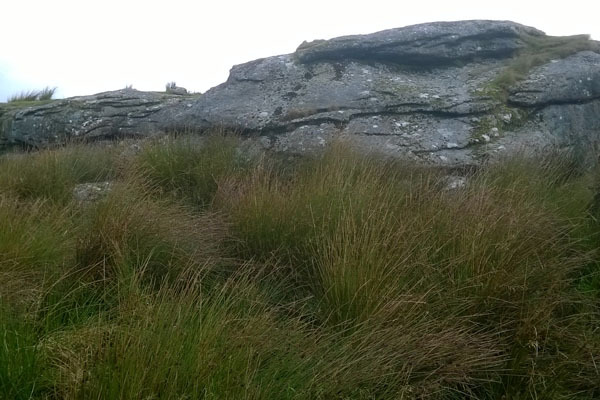 Sitting astride a very shallow gradient of a dartmoor hillside this tor presents itself as one long, low-lying south-facing outcrop. It can barely be seen if approached from the north, except for a few scattered boulders. The vegetation on the south face is also entirely s0ft-rush which makes for a poor photo. Easily reached apart from a short cross-country trek off-path. The whole area is worth a visit for the history that can be found in the form of dried-up leats, industrial tin-workings, Stone Rows, Kistvaens, cairns & Bronze Age settlements. Higher White Tor – Grid ref: SX 620785 Height: 527m a.s.l. 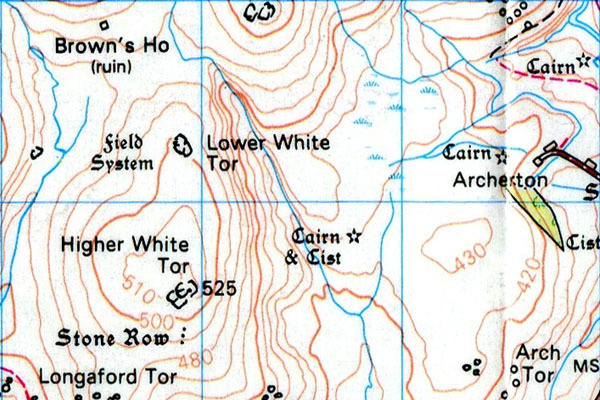 Higher White Tor is not a summit. 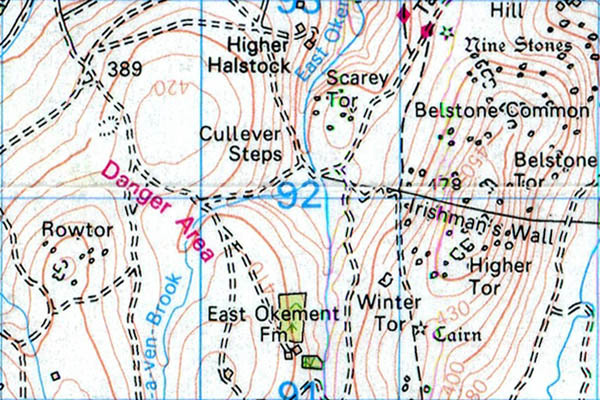 Hockinston Tor – Grid ref: SX 695719 – Height 200m a.s.l. Hockinston Tor is not summit. Hollow Tor (1) – Grid ref: SX 731762 Height: 370m a.s.l. 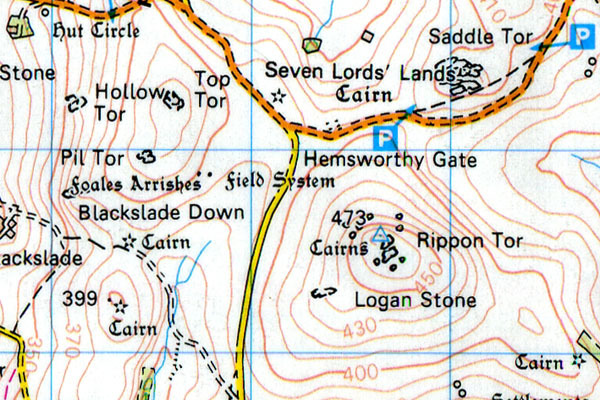 Hollow Tor (2) – Grid ref: SX 571745 – Height 470m a.s.l. 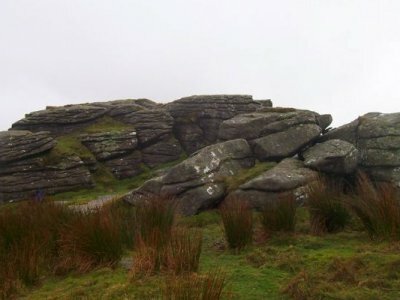 This tor is part of the ridge that forms North Hessary Tor. Hollow Tor is one of two ‘Hollow Tors’ on Dartmoor. 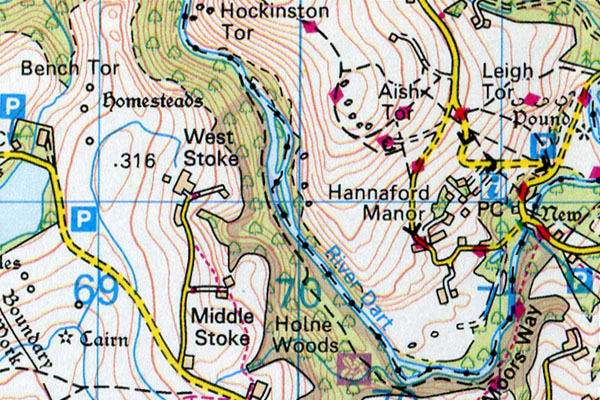 The other can be found at OS Grid Ref: 731762. 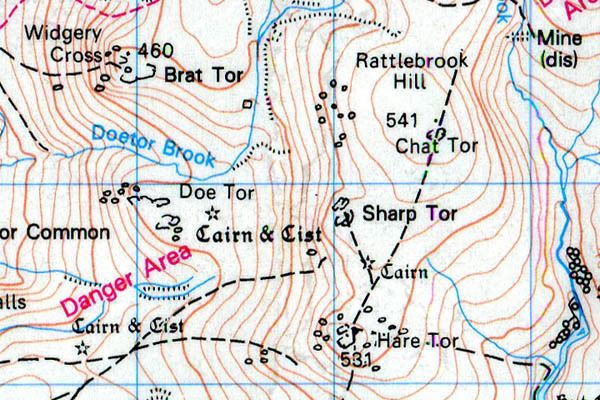 This Tor is found part way down the North Eastern slope of North Hessary. 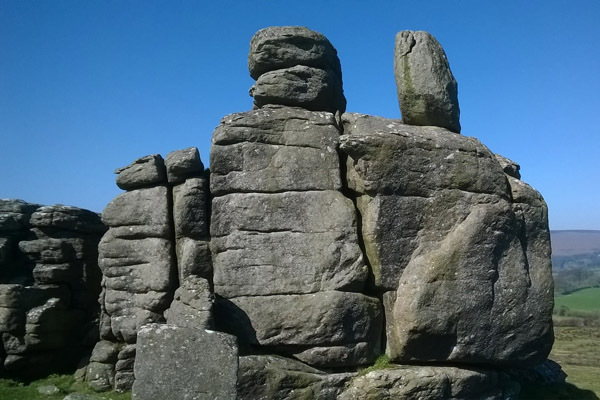 The rock formations here are worth a visit and more attractive than the fenced tors of Rundlestone and North Hessary. 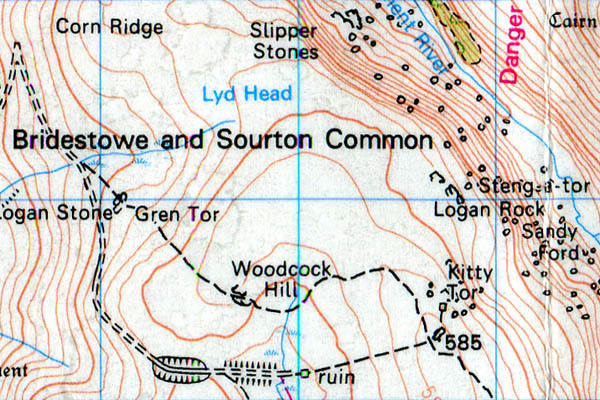 Holwell Tor – Grid ref: SX 751776 Height: 402m a.s.l. 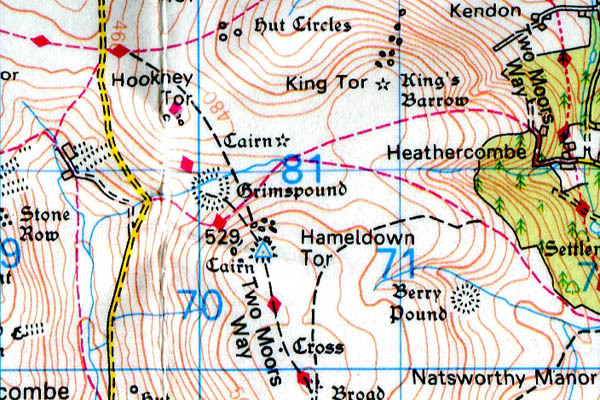 Honey Bag Tor – Grid ref: SX 729787 – Height 445m a.s.l. 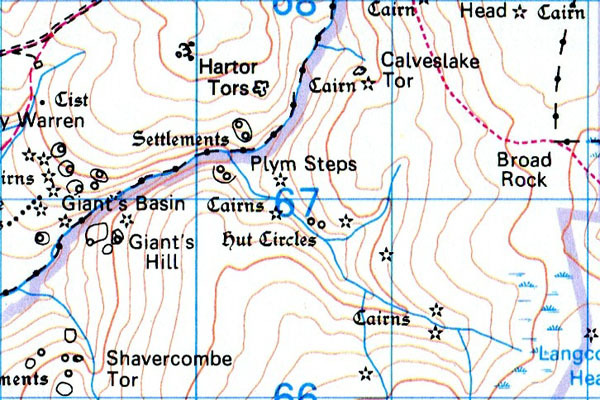 Hookney Tor – Grid ref: SX 698813 Height: 497m a.s.l. 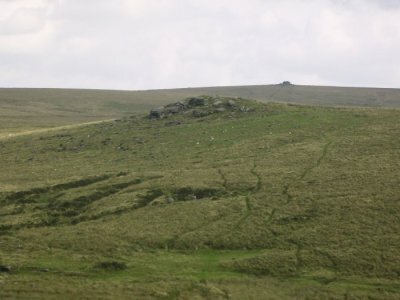 Hookney Tor has an ancient Tumulus at its summit. Hound Tor (1) – Grid ref: SX 628890 – Height 495m a.s.l. 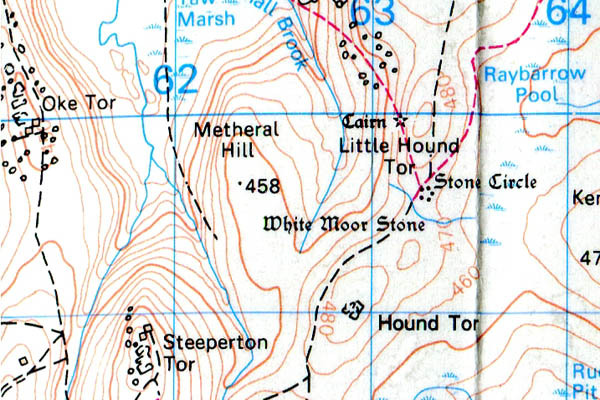 Hound Tor (2) – Grid ref: SX 743790 – Height 414m a.s.l. This is another stunning tor on the east moor with easy access from the road. Great for a quick ramble and some quality bouldering and climbing, including the classic Suspension Flake VS 4c, depicted on the right of the photograph below. Used in multiple filming sets. Huccaby Tor – Grid ref: SX 657739 – Height 350m a.s.l. Hucken Tor – Grid ref: SX 549738 – Height 300m a.s.l. 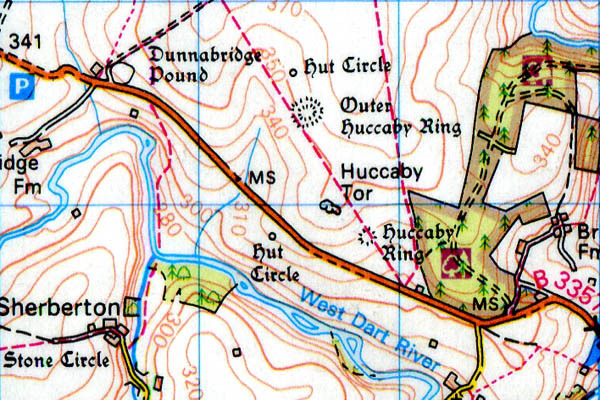 Hucken Tor is located on the western slopes of King’s Tor. It exists as a widespread series of outcrops quite hidden from most aspects of the hillside. The outcrops are scattered along a gradient over a height difference of about 60 metres however no individual crag is greater than 6 or 7 metres in height. It is possible to climb on these crags however the climbng is generally poor. You do however get to see another aspect of Vixen Tor from this side of the hill. 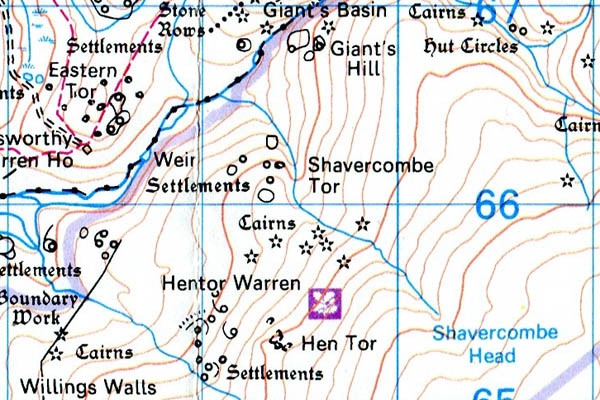 Hunt Tor – Grid ref: SX 557875 – Height 562m a.s.l. 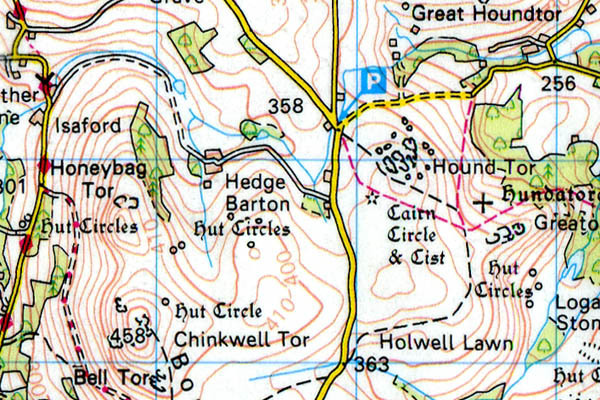 Hunt Tor is un-named on the 1:50k OS map. 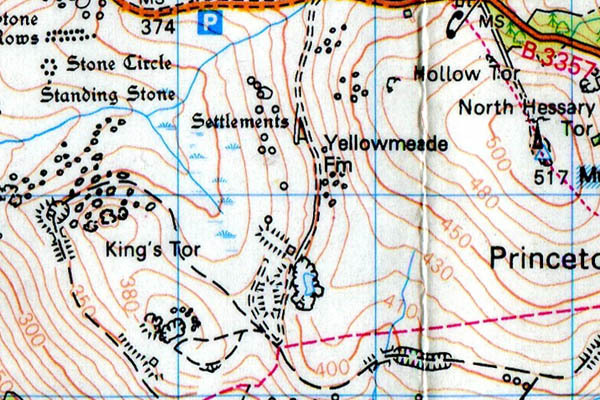 It is only identified by the crag features found on the map beneath the ‘W’ of ‘Woodcock Hill’. 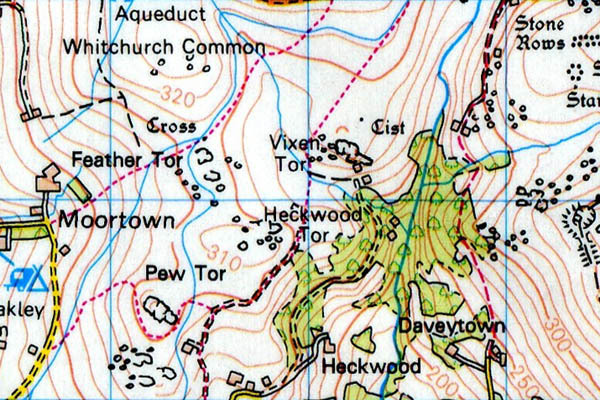 Woodcock Hill is more of a plateau than a hill.